“On the internet, nobody knows you’re a dog,” said the famous New Yorker cartoon back in 1993. In the intervening 24 years, the lines have gotten even more blurred. Not only do you not know whether I’m a dog or not, but you also don’t know whether I’m a bot or a paid stooge looking to influence your political outlook. This, it turns out, is a widespread problem, and not the preserve of cranks bitter that their team lost an election. Russian influence in the US election is widely accepted by American intelligence services, even if the president has other ideas, but it turns out the roots go much deeper than that. A new report from the independent watchdog Freedom House reveals that 30 governments were engaged in using social media to spread discord, among their own electorate and towards others. The report states that 18 elections in the past year were tampered with, with bots retweeting fake news and propaganda, and paid actors pretending to be people they’re not. “Not only is this manipulation difficult to detect, it is more difficult to combat than other types of censorship, such as website blocking, because it’s dispersed and because of the sheer number of people and bots deployed to do it,” said Sanja Kelly, who was in charge of the Freedom on the Net project. While tampering in the discourse of foreign countries was generally less common, it’s a tactic that’s picking up steam, according to the report. Russia and China were the pioneers of the tactic, but apparently, it has been picked up by the likes of Turkey, Syria, Ethiopia and the Philippines. The tactics generally followed one of four methods: bots that echo a single message and amplify stories (fake or otherwise) that share the worldview; paid commenters dropping by news sites to parrot the views of their paymasters; fake news sites set up to sow political discord or suppress voter turnout; and troll accounts that engage specific targets with arguments to waste their time. This is a problem that’s divorced from, but linked to, Twitter’s refusal to automatically block white supremacists, despite having the power to do so. Taking the example of neo-Nazism, while there are real white supremacists on Twitter, there are also bots designed to amplify their views, and real people paid to repeat the core messaging. 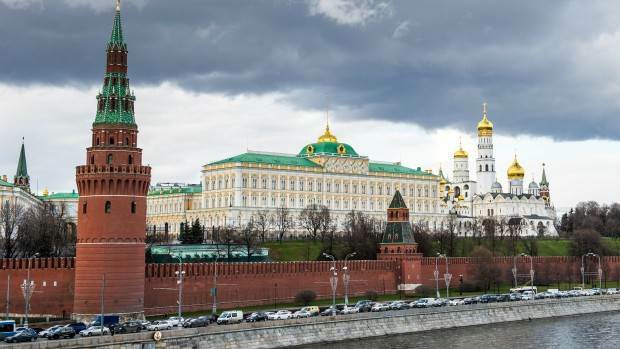 In the case of Russian interference in the US election, the method seems to be to sow disharmony by promoting disparate groups across the political spectrum but concentrated on the fringes. But otherwise? You’re stuck. Twitter and Facebook have ideas of how widespread the problem is, but as private companies, there’s only so much they’re required to divulge – especially with the balance between government and tech companies being so hugely unbalanced. 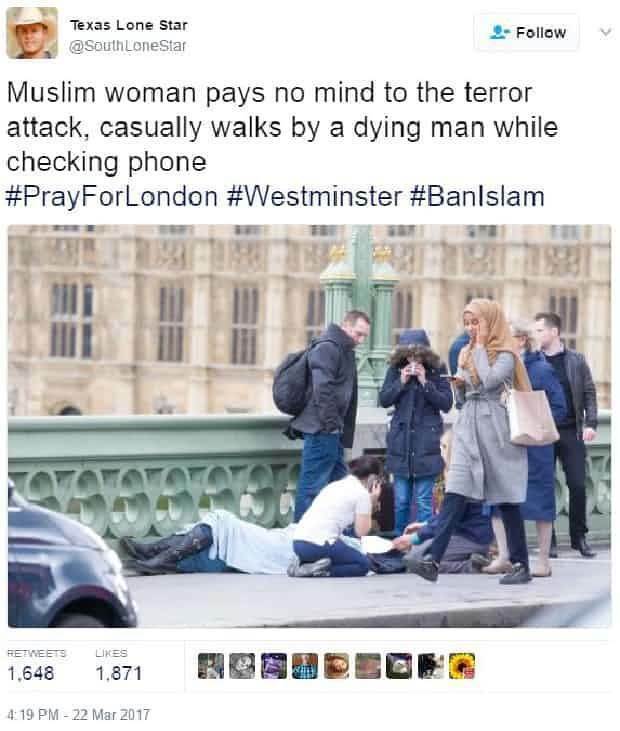 When a bunch of fake political messages were shared in Washington earlier this year, it emerged that one of them had also been writing about the Westminster terror attack in London: @SouthLoneStar, whose tweet accusing a Muslim woman of callously ignoring a dying man was retweeted over 1,000 times and featured by papers around the UK. @SouthLoneStar, it turned out, was a paid Russian operative, despite describing themselves as a “proud Texan” in the bio. It’s a reassuring sentiment, but one that’s quite hard to square against the fact that Russia has got its desired outcome on at least two votes: Donald Trump is president. Brexit means Brexit. And on the internet, everyone is a dog.